Government of India has made it mandatory to link your Aadhar Card with Pan card. This new regulation will take effect from July 1, 2017. You will also need an Aadhar card while applying for a new Pan card. To make the process easier, the government has developed an online portal where you can Link Aadhar with Pan card. We have listed all the steps to Link Aadhar with Pan card below. Anyone can link their Aadhar card by following these easy steps. Just go through them one by one. On the left side, you will see a “Services” Tab. 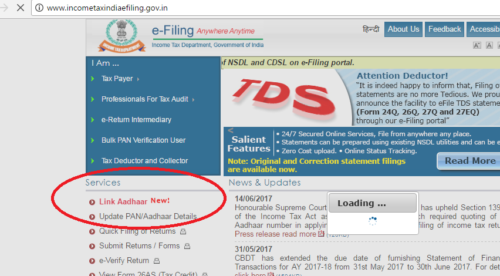 There you can find the option stating “Link Aadhar”. Click on it and wait for a few seconds. A new window will open. Fill all the details carefully, including your Pan number, Aadhar number and Name on Aadhar card. If your Aadhar card only shows year of birth, then tick “I have only year of birth in Aadhar card”. Else keep that option unchecked. 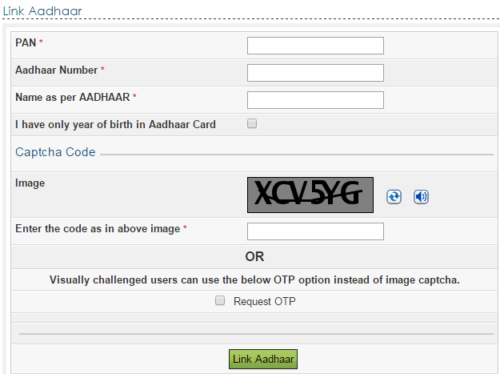 Enter the Captcha code in the text box and then click on link Aadhar. Visually challenged users have an option to request an OTP. Your details will now be sent to UIDAI for further verification. Once verified, you will receive a message on your mobile number. Your name on Aadhar card and on Pan card must be same. If there are any dissimilarities in the name, then you will have to go to your nearest Aadhar card center (permanent Aadhar center). You can also make corrections on your Aadhar card or Pan card by visiting the following websites. Corrections, such as name and D.O.B can be done online through these websites. To use these online services, you will receive a One time Password on your Registered mobile phone. Note: Registered mobile phone is a must to use these online services to update your Aadhar or Pan card. 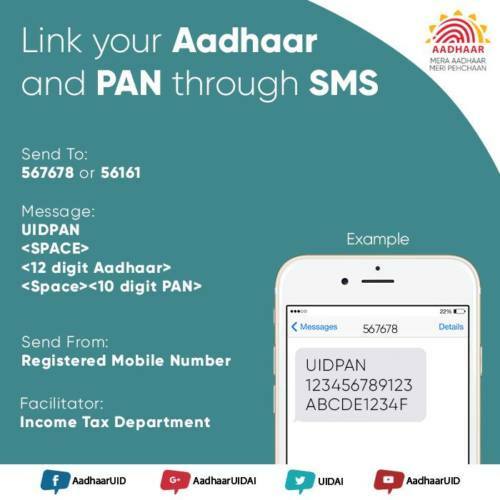 Linking your Aadhar with Pan card does not need any registered mobile phone. Not linking your Aadhar card with Pan card will automatically cancel your Pan card. 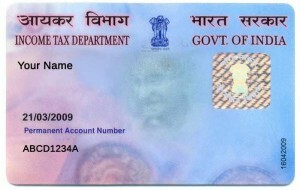 Your Pan card will become invalid and you will have troubles doing transactions. This is just a start, this will also trigger a warning to the Income tax department, which can further increase your troubles.